Image by Olu Eletu via Stocksnap.io. 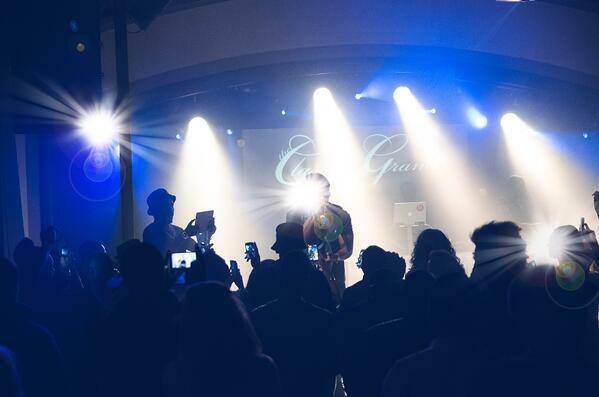 If you're not yet involved in your local scene, you might feel intimidated as a newcomer. But every community needs as many movers and shakers as it can get – and you'll likely be a welcome addition to in your city. Get involved and start helping your local scene thrive by following these five tips. This one has the potential to be doubly helpful: when you purchase merch directly from the band, you're helping them earn the money they need to keep going. Additionally, sporting a T-shirt or a pin is a means of supporting them publicly. People may ask about them, and you'll tell 'em. Follow your local venues, bands, and blogs on Facebook, Instagram, Twitter, and the like. Spread the word (and help 'em beat timeline algorithms) by engaging with events, articles, and anything else that's positive for your local scene – that means liking, retweeting, commenting, and sharing. Note: word of mouth works too. Invite friends to come along to shows! There are myriad ways to apply a variety of skills or resources as aid to the independent community. At the very least, you're probably capable of distributing flyers or hanging posters. Why not offer to make the rounds promoting? Even an effort as seemingly small as that can be incredibly helpful.